The Rockwheelers Christmas Light Ride is happening this year on the 23rd December. This is a free event to current members but requires registration (follow the link below). Come along and finish off the year as a club taking in the wonderful display of lights from our local community. Junior riders under the age of 13 must be accompanied by an adult. All riders must obey traffic rules which include the wearing of a helmet and lights on both the front and back of the bike. 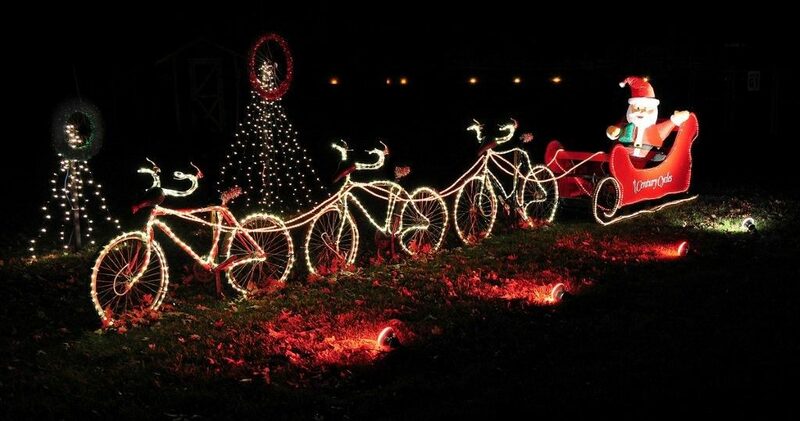 You can up the Christmas cheer by decorating your bike in a Christmas theme! We will meet at Brothers Rugby League at 6:30pm for a 6:45pm ride off. The map will be pre-planned and released prior to the ride via Facebook. Regos open 6pm 3rd Dec and close midnight Fri 21st Dec.